PNM successful campaign to pull the plug on the state Legislature’s plan to deregulate electric utilities in 2007 portends nothing but high prices in the long run. Our politicians should study the California’s electricity-crisis case. The California debacle is used by those who favor electricity regulation as a demonstration that free markets are inappropriate for electric-power markets. At the turn of the 20th century in state after state throughout the country public utility commissions were established with the responsibility to regulate the utilities. The consensus was that public utilities are natural monopolies, and, unless regulated, would charge the public monopolistic prices. Today, at the turn of the 21st century, we challenge the need to regulate electric public utilities for two reasons: First, the technology of wheeling electricity over long distances has improved dramatically: High voltage transmission lines and improved alloys used in their production lowered the transmission costs significantly. Consequently, electric power can be wheeled from the Four Corners Power Plant to California at a relatively very low cost. Second, over the years, economists realized that state regulatory agencies became captives of utilities to the point that regulated prices, even if not set at monopolistic levels, are higher than what alternatively would be competitive prices. In 1995 the country was ready to embrace the open power markets. What happened in California changed everything. In 1996, the California legislature voted to restructure its electric industry. All retail customers were allowed to buy power from electric service suppliers of their choice. The monopoly of the local California utilities was thus broken and utilities were transformed into middlemen. But, unfortunately, politics of different interest groups played a bigger role in the restructuring process than economic analysis. Consequently there were two fatal flaws in the deregulation plan: First, for stranded costs considerations, retail prices were capped at a level that had been then above the anticipated wholesale price. Second, the utilities were required to acquire power for their customers solely on the spot-wholesale markets. The new market structure became effective in April of 1998. In the Spring of 2000 Four factors combined to push wholesale prices way above the expected $25/Mwh: (1) demand for electricity intensified due to unanticipated economic growth and unseasonable weather; (2) drought reduced the supply of hydroelectric power; (3) rising natural gas costs increased wholesale prices on the spot market instantly; (4) rising prices of emission credits increased the variable costs of generation. As a result, from the early spring of 2000 to the early summer of 2001, spot wholesale electricity prices soared to unprecedented levels. Since the retail price remained capped, the utilities absorbed the difference and eventually became bankrupt. At the beginning of summer of 2000 the utilities could have saved Californians money and blackouts by entering into long-term contracts. At that time, the utilities had known that gas prices were expected to rise and the water level behind the dams were expected to recede because of the drought. But, the California regulatory agency, guided by the bogus deregulation of 1996, ignored the requests of the utilities to purchase future electricity at reasonable prices. The electric-power market collapsed, and the state took over purchasing wholesale and selling retail power. Finally, in June of 2001, the factors that initially caused the crisis reversed course. In particular, the demand for electricity began to abate and natural gas prices were falling across the Unites States. The wholesale prices of electricity returned to a reasonably low level. The crisis passed, but California’s lost billions of dollars in the process and will continue to pay high prices far into the future. It is ironic that out of desperation, at the beginning of 2001, Governor Davis instructed the California Department of Water Resources to negotiate long-term contracts with wholesale suppliers of power. It is likely that, since wholesale prices were still relatively high, he saddled California residents with obligations to pay $40 billion for electric power with a market value of only $20 billion. The lesson from California to New Mexico: There is no alternative to the discipline of competition in an open market. If, and when, New Mexico decides to deregulate its power market it should take the following steps: (1) break the monopolies of utilities in their respective service areas by allowing users to access electricity from out-of area and out-of-state suppliers of their choice; (2) allow electric-power prices, both wholesale and retail, to move freely, up and down, in the marketplace such that supply and demand are always in balance; (3) allow users to freely choose between buying electricity on the volatile spot market, or, alternatively, enter bilateral long-term stable contracts with power suppliers. At the end of the day the choice is between the regulated local monopoly with relatively stable but very high prices or a completely deregulated electricity market with more volatile, but, on average, significantly lower prices. Rational users will always prefer the latter. New Mexico is rich in natural resources: It ranks 13th in the production of coal (third in reserves) and third in the production of natural gas (second in reserves). It exports almost half of its generated electricity, over 80 percent of its natural gas and 40 percent of its coal. Both natural gas and coal are sold on very competitive markets. Our policy recommendation is simply to leave the decisions of how much to produce, and of that what fraction to export, to the entrepreneurs on the open market. Some pro-development New Mexicans lament the fact that much of our natural gas and coal are exported as raw materials rather than electricity. Environmentalists oppose converting these natural resources into electricity because water is a factor of production in the generation of electricity. Orders of magnitude are relevant here: Annual depletion of water in New Mexico is in the order of magnitude of 2.5 million acre feet. Irrigation accounts for 75 percent of the total depletion. Currently, water consumed in the generation of electric power is about 70,000 acre feet, a mere 2.8 percent of the total annual depletion. In the future, electric generating firms could purchase additional water rights in the marketplace without raising water prices appreciably. Last, but not least, our elected leaders should not be tempted to raise the tax rates on our exhaustible natural resources for the simple reason that, although up to a point higher tax rates will yield more revenue, higher taxes will also result in a reduction of employment and weakening of economic activity. Generating electricity by burning coal, natural gas or using nuclear reactors on average costs between 3 and 4 cents per kwh. Of the three, the additional external cost to society and the environment is highest from coal and lowest from nuclear power. Once the federal government resolves the issues of nuclear waste, catastrophic insurance and who bears the decommissioning costs, nuclear generation of electric power will be revived. New Mexico, which is rich in uranium will definitely benefit from this trend. PNM and Florida based FPL Energy built a 204-megawat wind-generation facility, or what is otherwise known as a wind farm. This deal was undoubtedly stimulated by New Mexico’s legislature endorsement of a rule mandating that five percent of utilities’ energy must come from green sources by 2006, and ten percent by 2011. Any minimal environmental gain from this project will “spread” over the entire southwestern states-it will be gone with the wind. According to the Wall Street Journal (August 27, 2002), although wind energy is clean, its cost is still 5.84 cents per kwh in good wind sites, and 3.89 cents in optimal wind sites. We cannot be sure if PNM embarked on this project because of federal subsidies (1.8 cents/kwh), or because wind farms politically endear PNM to the environmentalists who, in return, might support its battles to retain monopoly. It is difficult to conjecture what motivated the Public Regulation Commission (PRC) to dream up such a grandiose plan. Could it be the increasing instability in the Middle East? War in the Middle East could cause another energy crunch that might affect the transportation sector that depends on foreign crude oil, but not the electric-power sector that depends on plentiful domestic natural resources, such as coal, uranium and natural gas. Could it be concerns for clean air? Probably. But, first, applying renewable energy in the generation of electricity in New Mexico would reduce the use of coal by the San Juan Generation Station near Farmington. The blessed wind does not recognize state boundaries. Consequently, the air pollution-reduction at the San Juan Generation Station would be spread over Arizona, Utah and Colorado: It will be gone with the wind within days. Do we, New Mexicans, like to pay higher prices for electricity to give our neighbors a free ride on clean air? I believe the answer is a resounding “no”, and this is why clean-air policies should be initiated at the federal level. Second, mandates, known otherwise as social engineering, are arbitrary and economically inefficient. The decision as to when renewable sources should be used in the generation of electricity is best left for the marketplace. Of course, external costs from air pollution are involved in the generation of electricity. The external costs of using coal, gas turbines, nuclear reactors or even wind cannot be dismissed. But, clean air and water policies should be left for the federal government. The federal energy policy is far from perfect. The energy industry enjoys outrageous subsidies and market distortions. Advancing renewable energy through subsidies is a bad idea. 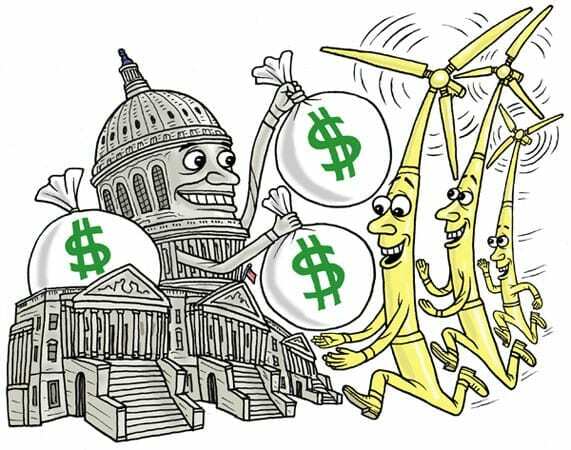 Such subsidies, like the 1.8 cents tax credit per kwh generated by wind, lead to political-pressure groups that invest time and money in lobbying for higher subsidies. The subsidy to ethanol is an example that has not met the test of time. The subsidy to ethanol, which is derived from corn, is alive and well even after it has been shown that it generates less energy than it takes to produce, and other gasoline-cleaner-supplements are available in the marketplace. Since it takes more energy to produce ethanol than ethanol produces, it probably causes more pollution than we would have with no subsidy at all. But it seems that the farm bloc has the political power to perpetuate a bad subsidy forever. Instead of subsidizing green energy resources, the federal government should tax natural resources that, in the process of producing electricity, generate conventional pollutants (sulphur dioxide, nitrogen oxides and mercury) and carbon dioxide. As an illustration, a unit federal tax should be imposed per kwh of electricity derived from coal, and the revenues from this tax should be used in the development of clean coal technologies. Nuclear energy does not release any greenhouse gases, but its price does not reflect its true marginal cost. A permanent nuclear-waste facility in the Yucca Mountain should begin serving all nuclear reactors in the United States as soon as possible. Nuclear waste and decommissioning costs should be borne by owners of nuclear reactors. Also, the Price-Anderson Act which provides unlimited government insurance for nuclear reactors in case of catastrophic accidents should be rescinded. Electric utilities should pay for nuclear catastrophic insurance, and they should generate nuclear energy and sell it in the marketplace at a price that covers its true costs. Mandating renewable energy in the generation of electricity is a tax on New Mexico citizens as rate payers-we don’t need higher taxes. California is mandating these senseless green initiatives in spades. In the unlikely event California mandates really do lead to discoveries producing long-term benefits, New Mexico will benefit without having to tax our citizens. 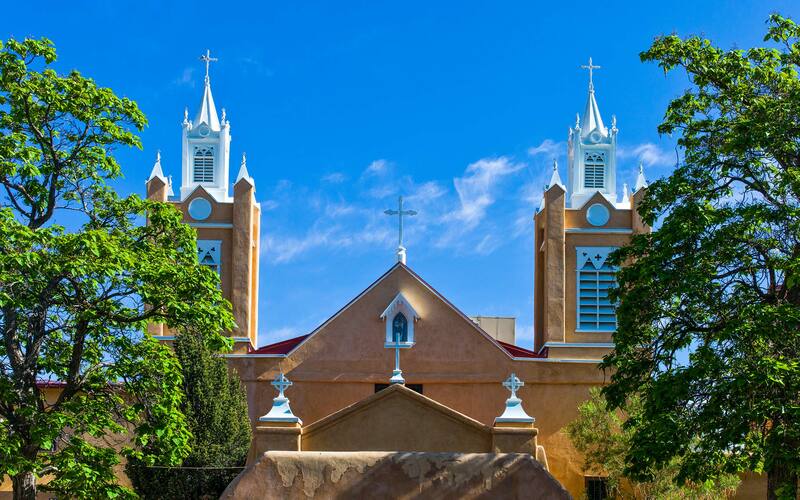 Last, but not least, The New Mexico legislature is urged to guide the PRC to focus on its only logical mission, namely to protect New Mexico consumers from natural monopolies.